We are pleased to announce that the new website design for Origin Malting & Brewing Co. is live. The Strathmore-based craft malting and brewery got in contact with our team looking to get a website redesign. We were down for the challenge and are stoked with the results. 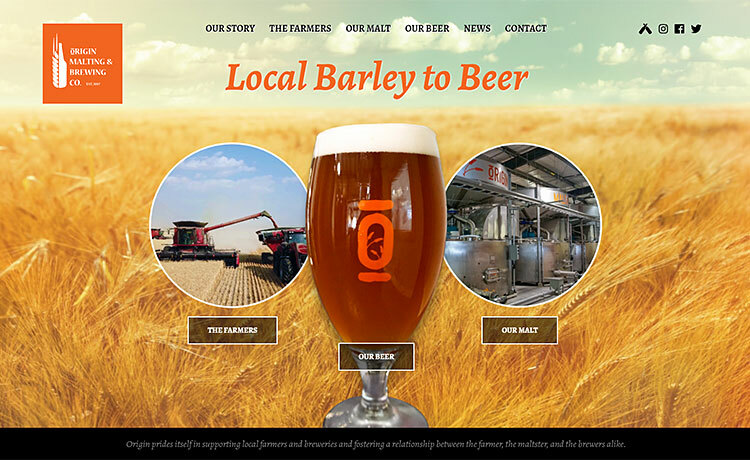 The custom website design is fully responsive and features the story of Origin’s barley to beer process. Our team has integrated the Untappd API into the website, so visitors can view what beers are currently on tap. The site also features a news/blogging area that allows website administrators to easily update what’s going on. 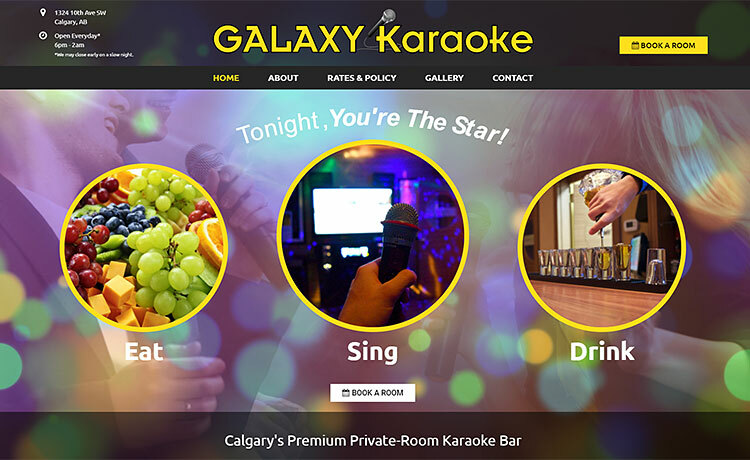 In need of a web design upgrade with added functionality, the team at Calgary’s Galaxy Karaoke got in contact with us. We’ve updated their web design and are happy to announce that their rocking new web design is now live. Our team has created a user-friendly, mobile responsive web design that allows users to easily book reservations online. Website visitors can access rate and policy information, as well as view images of the private room karaoke bar. 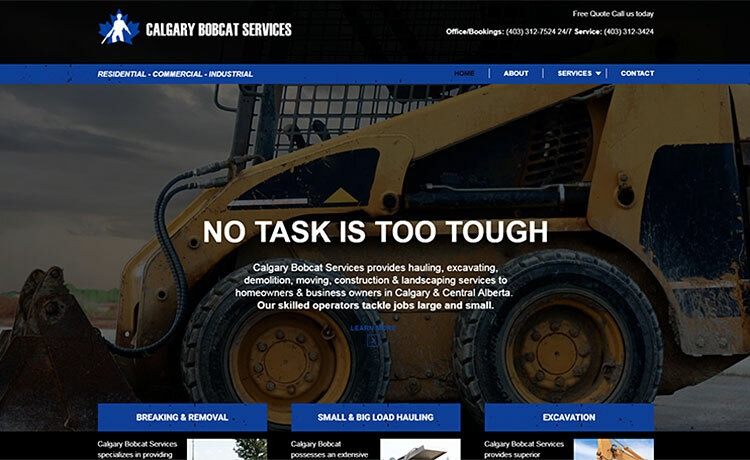 Doncore Concrete Cutting & Coring has opened a new division called Calgary Bobcat Services and was looking to create an online presence for the new arm of the company. We were totally up to the task and are happy to say that their new web design is now live. Our team kept the new web design on brand with the parent company’s existing site, changing up colours, images and verbiage this time around. The responsive web design features intuitive navigation and no-nonsense information about the services provided by the excavating, hauling and demolition company. 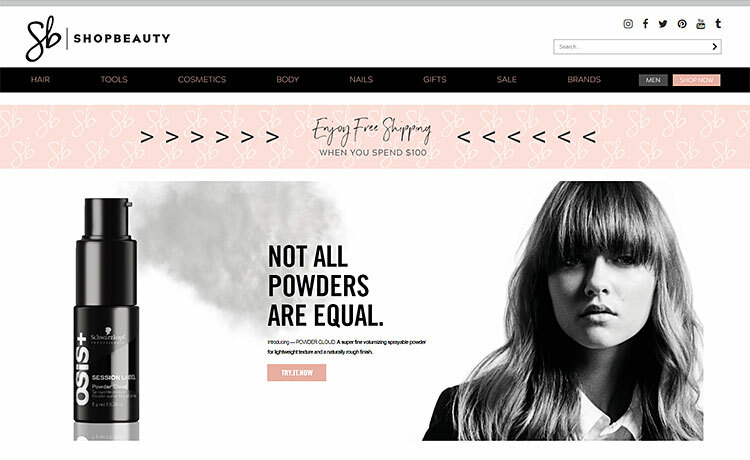 Shop for all your salon and cosmetic faves at the new ShopBeauty, an e-commerce beauty and hair product supply store developed by our web design crew. This oh so pretty and oh so practical website is now live. Our team has created a user-friendly, responsive e-commerce website design that lets web visitors easily shop for, discover, and purchase beauty and hair products online. There are over 18,000 products to select from to get you glam-ready! The website features video tutorials, beauty hacks in their blog, and persona profiles that help you narrow down products to suit your personality. There are advanced filter features for easy, quick searching. 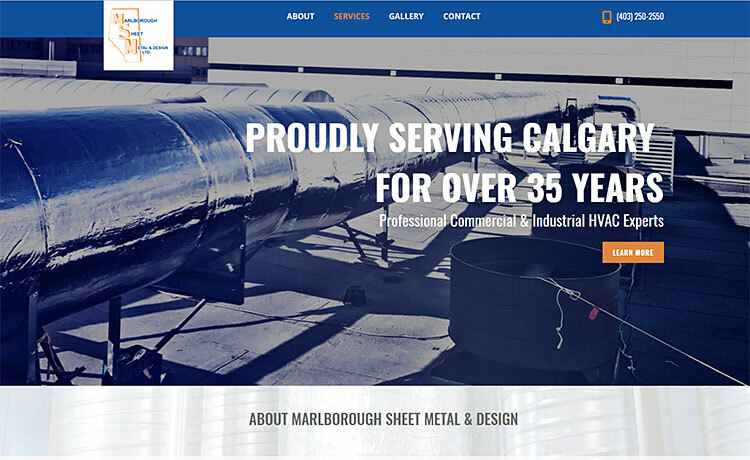 Calgary’s Marlborough Sheet Metal was in need of a new website design to promote their commercial and industrial HVAC sheet metal services online. Coming to our team to talk shop, we were happy to create a new, custom, responsive web design for them. The new website features a one-page, responsive design that allows website visitors to navigate directly to information via the main menu. We have incorporated a gallery that exhibits work conducted by the sheet metal fabricators, designers and installers. 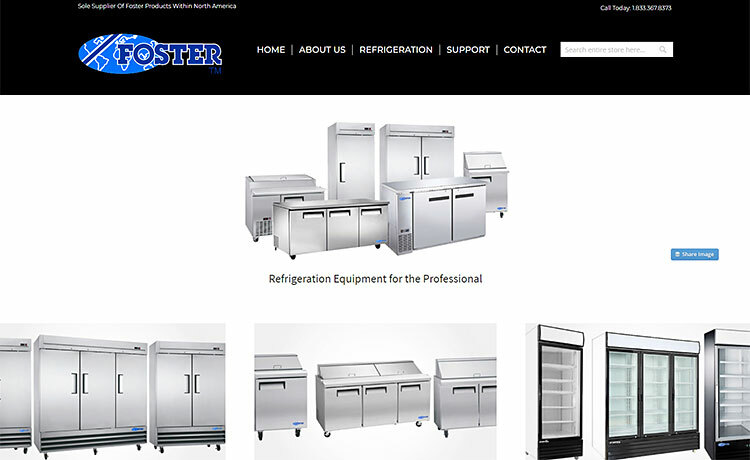 As the sole supplier of Foster products within North America, the team at Foster Refrigeration wanted to create a new website to showcase their commercial refrigeration offerings. They contacted our team and we are happy to say their fresh, new web design is now live. Our team has created a custom, responsive website design that is user-friendly and allows web visitors to easily access and acquire the information they are looking for. Whether it’s finding a new product, downloading a product brochure or spec sheet, the site is easy to navigate and contains all relevant information. 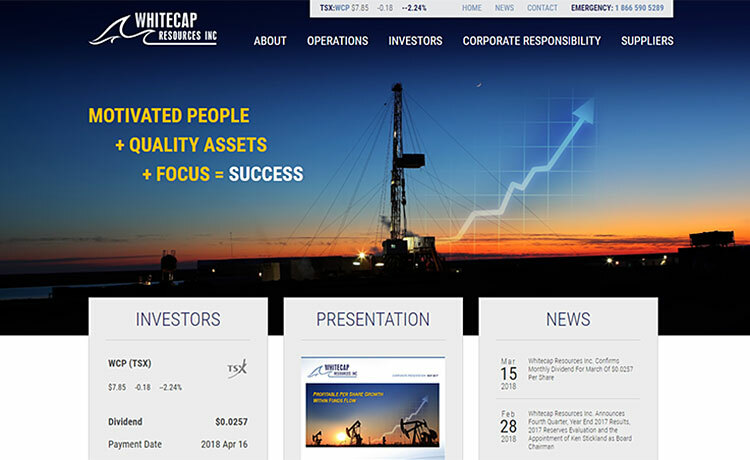 Calgary’s Whitecap Resources is live with a new web design courtesy of our web development team. The oil-weighted growth company contacted us looking to update their outdated website and get a responsive solution. We’ve done just that! Our team has created a custom new website design, downsizing the main menu navigation so it is easier for users to find the info they’re looking for. In addition, our graphic designers have updated WCP’s corporate communications templates to keep on-brand with the new web design. Website administrators can easily update Financial Reports, Press Releases and more, using the custom-programmed Content Management System backend. Building a New Web Design for Absolutely Affordable Home Improvements Ltd. 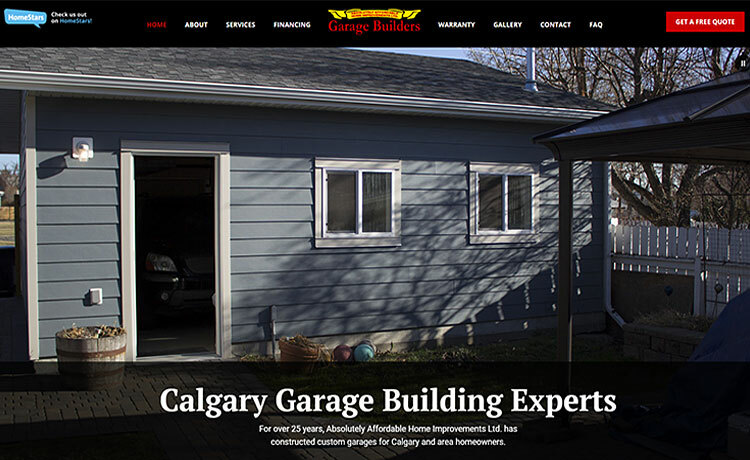 Looking to improve the appearance of their web design, the team at Calgary’s Absolutely Affordable Home Improvement (AAHI) Garage Builders got in touch. We were up to the task and are happy to report that their new, responsive website design is now live. Our team has created a custom website design that features images of garage builds completed by the family-owned and operated business which has been in operation since 1992. We have included a gallery component so the team can update their portfolio of work and have created an online estimate form that users can fill out to receive a free quote. 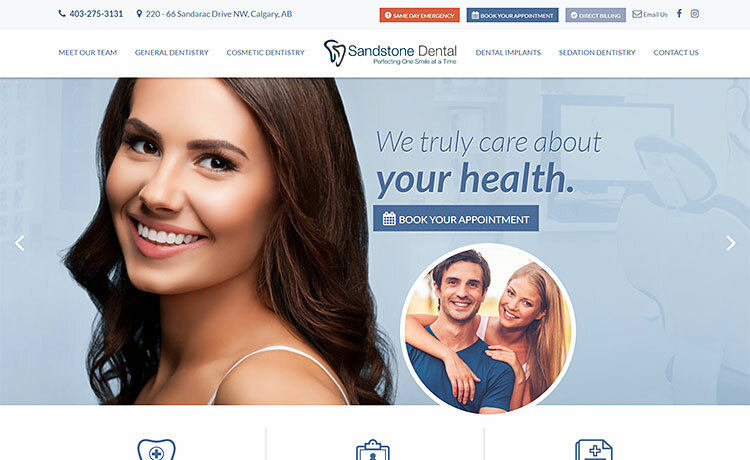 Located in Calgary’s NW community of Sandstone Valley, the team at Sandstone Dental got in contact with our web development team hoping to reinvigorate their online look with a fresh new web design. We’re happy to say that their polished new website is now live. Part of the reason behind redesigning the website was a desire to get a responsive website solution. Our team created a custom web design, programming the site into a responsive template such that web visitors can easily navigate through the site on the device of their choosing – smartphone, tablet or desktop. The Print Operations Group (POG) specializes in optimizing enterprise print environments to ultimately reduce costs and increase workplace efficiency. 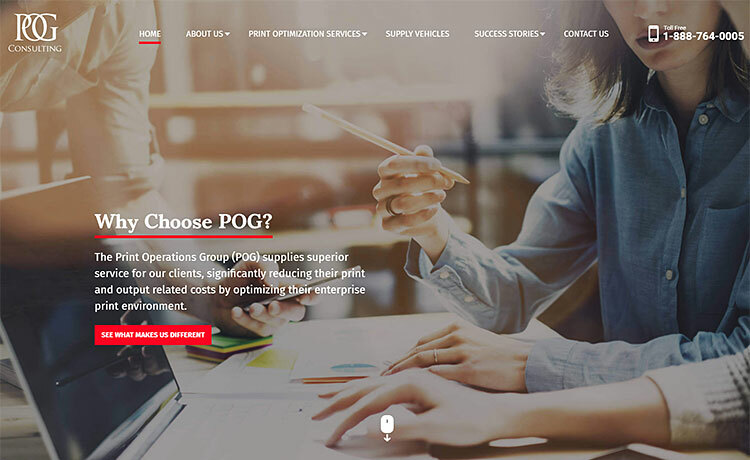 Looking to optimize their online presence and get a responsive website design, POG Consulting contacted our team. We are happy to report that their new mobile-friendly website is now live. Our team has created a custom website design bringing a fresh and modern feel to POG’s online portfolio. Featuring full-screen imagery and easy, user-friendly navigation, website visitors can quickly access the info they require via their desktop, smartphone or tablet. 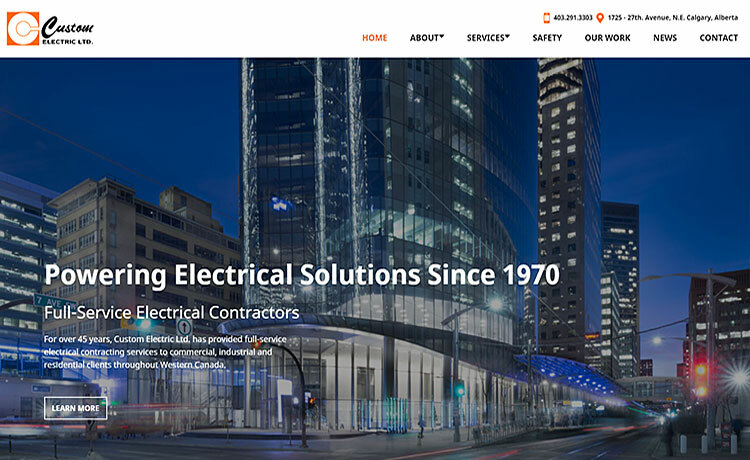 Calgary’s Custom Electric Ltd. approached our web design team with a desire to create a new look and feel for their website. In addition, they wanted a responsive web design for an optimal viewing experience on all devices and of course, to stay on Google’s good side. We’re stoked to announce that their bright new site is now live. Our talented crew has created a custom website design that features the many projects Custom Electric has worked on which light up our city. Helping recreate the information architecture of the website as per best practices, our content specialist also helped develop the content to explain the full breadth of services provided by the full service electrical contracting firm. The website also contains a secure login area for employees to access pertinent documents. Meet the Fancy, Fresh New Web Design for DDT, Inc.